started studying Shotokan Karate under Senseis Alf and Wei-in Hatton in Ipswich in 1985. He passed his first Kyu grade in 1985 and was awarded his Sho (1st) Dan grade at Crystal Palace on 12th May 1989 by Sensei K. Enoeda 8th Dan. Jon took over the stewardship of ISKC in 1990 after Senseis Hatton left Ipswich to pursue their full time careers in Birmingham. Jon was awarded his Ni (2nd) Dan at Crystal Palace in May, 1992, again by the legendary Enoeda Sensei. He dedicated the next 14 years building ISKC to the strong and highly respected karate club it is today. In 2005 Jon was awarded his San (3rd) Dan by Ohta Sensei, at the new home for JKAE spring and autumn international training courses in Guildford, Surrey. 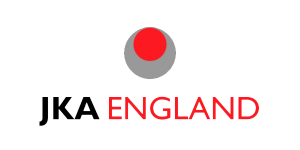 In May 2018 at the spring course at Crawley Jon was awarded his 4th Dan, on the grading panel were Imura Sensei 7th Dan, Sawada Sensei 7th Dan, Kobayashi Kunio 7th Dan, Shina Sensei 4th Dan and or own Chief instructor Ohta Sensei 7th Dan. Ipswich Shotokan Karate Club has been helped over the past decade by several people in particular by Sensei Ohta, 7th Dan, chief instructor to Japan Karate Association England (JKAE), and Sensei Ismail, 5th Dan. Both leading instructors of the JKAE nationally visit our club regularly. Sensei Jon is supported by Assistant Instructors Alice Donohoe, Philip Harold, and Barry Crozier, together with the invaluable club secretary Angela Donohoe who has been a constant support to Jon, as well as chauffeur and companion to many training courses in Britain and overseas. is a graduate of Takushoku University in Japan. He has trained under many of the great JKA instructors. Between 1982 and 2003 Sensei Ohta was the official assistant to the now legendary Sensei Enoeda, 9th Dan (deceased). Their base was in London at the Marshall Street Dojo where I spent many happy but often painful hours training. 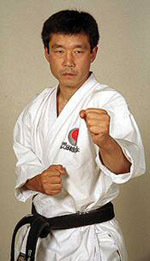 After the sad passing away of Sensei Enoeda in 2003, Sensei Ohta took over as Chief Instructor of the JKAE. Sensei Ohta has been visiting Ipswich to give training courses and to grade students for over twenty years. 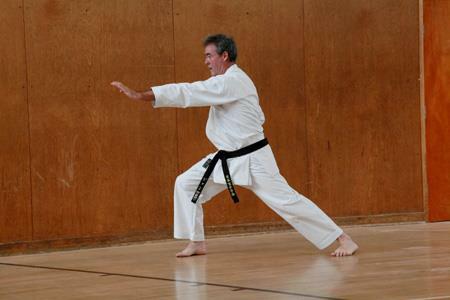 More recently his colleague Sensei Ismail, 5th Dan JKA has also attended training and grading sessions in Ipswich. Shotokan karate is now evolving into a stronger and more precise technical form under the guidance of Sensei Ohta and Sensei Ismail. 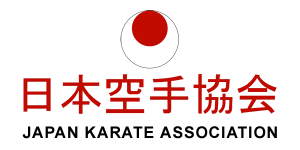 JKAE is affiliated to the Japan Karate Association (JKA) which has a vast membership in over 100 countries. It is, by far, the world’s largest and most prestigious karate organisation. Most importantly the JKA is the preserver of the spirit of karate based on traditional Japanese principles, practices and philosophy.